SGF’s human resources have experienced from earlier projects like VEGA (imaging and tracking system TVS), Phobos (central data acquisition and control computer of the Lander), Mars-96 (EGSEs for plasma experiments), Spectr-X-Gamma (central data acquisition and control computer) astronomical satelite. These missions were managed by the Soviet than Russian Space Agency. development for Magnetometer and CAPS experiments. The ESA's Rosetta space craft in 2014 will rendezvous with comet and its Philae lander will study the nucleus of comet. Engineers of SGF Co. Ltd. developed the central redundant processor system of the Philae and Rosetta orbiter simulator as well as Philae simulators (EGSE). Our engineers developed the EGSE for SPICAM instrument.of the Mars Express. ssiion. The SGF Co. Ltd. participated in the development of the calibration system for ASPERA instrumets (Venus Express) . 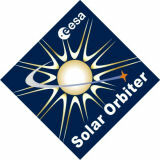 Presently we are working on EGSEs for scientific instruments of BepiColombo, Solar Orbiter and JUICE future ESA's missions. Software designers of SGF Co. Ltd. developed the onboard software of color stereo imaging system (CaSSIS) for ExoMars mission. With this background mentioned above, SGF Co. Ltd. is ready to contribute to development of complex embedded systems with software implementation and circuit design.